Colorado State University (also referred to as Colorado State and CSU) is a public research university located in Fort Collins, in the U.S. state of Colorado. The university is the state's land grant university, and the flagship university of the Colorado State University System. The current enrollment is approximately 32,236 students, including resident and non-resident instruction students and the University is planning on having 35,000 students by 2020. The university has approximately 1,540 faculty in eight colleges and 55 academic departments. Bachelor's degrees are offered in 65 fields of study, with master's degrees in 55 fields. Colorado State confers doctoral degrees in 40 fields of study, in addition to a professional degree in veterinary medicine. In fiscal year 2012, CSU spent $375.9 million on research and development, ranking 60th in the nation overall and 34th when excluding medical school spending. 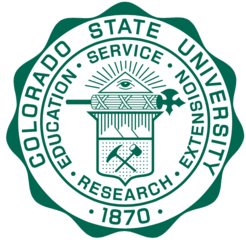 Colorado State University is a land-grant institution classified as a Carnegie Doctoral/RU/VH: Research Universities (very high research activity). 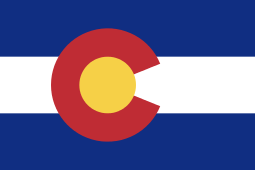 CSU was founded as Colorado Agricultural College in 1870, six years before the Colorado Territory gained statehood. It was one of 68 land-grant colleges established under the Morrill Act of 1862. Doors opened to a freshman class of 1 student in 1879. Arising from the Morrill Act, the act to create the university was signed by the Colorado Territory governor Edward M. McCook in 1870. However, during its first years the university existed only on paper. While a board of 12 trustees was formed to "purchase and manage property, erect buildings, establish basic rules for governing the institutions and employ buildings," the near complete lack of funding by the territorial legislature for this mission severely hampered progress. During Colorado Agricultural College's first term in fall 1879, the school functioned more as a college-prep school than a college because of the lack of trained students. Consequently, the first course offerings were arithmetic, English, U.S. history, natural philosophy, horticulture and farm economy. Students also labored on the college farm and attended daily chapel services. The spring term provided the first true college-level instruction. Despite his accomplishments, Edwards resigned in spring 1882 because of conflicts with the State Board of Agriculture, a young faculty member, and with students. The board's next appointee as president was Charles Ingersoll, a graduate and former faculty member at Michigan Agricultural College, who began his nine years of service at CAC with just two full-time faculty members and 67 students, 24 of whom were women. Carpenter began teaching mathematics at Michigan Agricultural College and did so from 1883 to 1888. 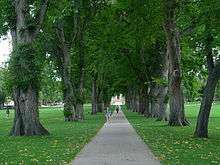 Colorado State University is located in Fort Collins, Colorado, a mid-size city of approximately 142,000 residents at the base of the Rocky Mountains. The university's 583-acre (2.4 km2) main campus is located in central Fort Collins, and includes a 101-acre (0.41 km2) veterinary teaching hospital. CSU is also home to a 1,438-acre (5.8 km2) Foothills Campus, a 1,575-acre (6.4 km2) agricultural campus, and the 1,177-acre (4.8 km2) Pingree Park mountain campus. CSU utilizes 4,043 acres (16.4 km2) for research centers and Colorado State Forest Service stations outside of Larimer County. Another campus focal point is the main plaza, around which can be found Lory Student Center and Morgan Library, as well as several academic buildings. The Lory Student Center, named for former CSU president Charles Lory, houses Student Media, numerous organization offices, Student Government, and spaces to eat, drink and study. The Morgan Library was originally constructed in 1965 and named for former CSU president William E. Morgan. Following the flood of '97, this facility went through an extensive improvement project that included an addition to the main building and a renovation of the existing structure, with works completed in 1998. Current holdings include more than 2 million books, bound journals, and government documents. Morgan Library just finished a 13,000 square-foot addition called the Study Cube that will seat 80 additional patrons and is designed for 24-hour access. With a university issued ID card, students and staff will be able to access the Cube after hours. To accommodate, the Loan and Reserve desk will check out laptops and other accessories over night if checked out less than six hours prior to closing. In 2008 CSU also opened its University Center for the Arts, located in the old Fort Collins High School. CSU purchased this historic building in 1995 and has since converted it into a new home for its programs in music, dance, theatre and the visual arts. The three-phase building project included a 318-seat University Theatre, a 100-seat Studio Theatre, and the 24,000 square-foot Runyon Music Hall, an adaptable rehearsal and performance space created out of the old high school gymnasium. The Center also houses the University Art Museum, the Avenir Museum of Design and Merchandising, a 285-seat organ recital hall, and the 200-seat University Dance Theatre. Colorado State offers 150 programs of study across 8 colleges and 55 departments. In addition to its notable programs in biomedical sciences, engineering, environmental science, agriculture, and human health and nutrition, CSU offers professional programs in disciplines including business, journalism, and construction management as well as in the liberal and performing arts, humanities, and social sciences. CSU also offers bachelor's degrees, graduate degrees, certificates, and badges online through Colorado State University Online, formally named the Division of Continuing Education. Colorado State University's College of Business offers a Bachelor of Science in Business Administration with six concentrations: Accounting, Computer Information Systems, Finance, Marketing, Organization and Innovation Management, and Real Estate. Colorado State's on-campus Master of Business Administration (MBA) program offers several distinctive degrees. The Computer Information Systems (CIS) concentration within the Master of Science in Business Administration (MSBA) is one of the oldest CIS degrees in the country. The new Global and Sustainable Enterprise MSBA takes on environmental conservation, microfinance, public health, alternative energy and agriculture from a business perspective. Each student completes a summer of fieldwork, typically in a developing country. The Denver-based Executive MBA Program instructs professionals, emerging business leaders and mid-to-senior level managers. For over 40 years, CSU has also provided a well-regarded Distance MBA Program. The college was reaccredited by the Association to Advance Collegiate Schools of Business in Fall 2011.
Business courses (accounting, shorthand, and typewriting) were first offered at Colorado A&M in 1944. The first formal business program (a two-year secretarial certificate) was offered in 1950. 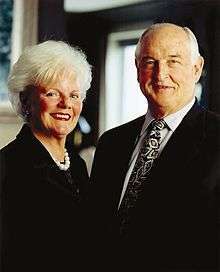 The bachelor's degree in business was first offered in 1956, and within two years the School of Business was formed and located in Johnson Hall. In 1966, the College of Business was established and located in the Clark building. The undergraduate programs at the College of Business gained AACSB accreditation in 1970, with the graduate programs earning accreditation in 1976. In 1995, the College of Business moved to its current home in Rockwell Hall and a couple years later a new Classroom and Technology Wing was added. Technology upgrades continued in 2002 when Rockwell Hall was fully networked for wireless computing. The College's growth continued in 2005 with the approval of plans to expand Rockwell Hall and the addition of a Business minor to the College's offerings. Construction of Rockwell Hall West was completed in 2009, and the following year the College hosted General Colin L. Powell as keynote speaker to celebrate the grand opening of the addition. The College of Business was ranked in Top 10 for "Best Administered MBA Program" in 2012 and 2013 by the Princeton Review. In 2014, the College again expanded its programs by adding two new concentrations to the Bachelor of Science in Business Administration degree: Business Supply Chain Management and Human Resources Management. The College of Engineering, originally the first engineering program in the state of Colorado, contains the departments of Atmospheric Science, Chemical and Biological Engineering, Biomedical Engineering, Civil and Environmental Engineering, Electrical and Computer Engineering, and Mechanical Engineering. A new degree concentration in International Engineering is available as a dual degree in the Liberal Arts and Engineering Science. College of Engineering students are engaged in international service projects through groups such as Engineers Without Borders. The university's department of Mechanical Engineering is the authority for the Motorsport Engineering Research Center. 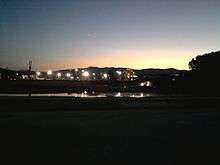 The research and development facility is located near the foothills campus of the school. The center houses the university's Formula SAE team, and is home to past and present formula SAE competition open wheeled race cars, and the current EcoCAR2 team, developing a hydrogen propulsion Chevrolet Mablibu sedan., The Department of Mechanical Engineering also offers a motorsports engineering concentration at the Masters and Doctorate level. Along with the Motorsport Engineering Research Center of the Foothills Campus, the Department of Mechanical Engineering also facilitates the Engines and Energy conversion lab, now going through an expansion to become the Powerhouse Energy Institute. At this lab, massive internal combustion generators are investigated and made more efficient. The lab is also home to a CSU company developing Biofuel derived of algae. Laser Ignition Spark Plugs and Clean burning cookstoves are examples to technologies developed from this lab. In August 2013, Colorado State University opened a new state of the art 122,000 Biomedical engineering building for academic and research purposes. Examples of research in the new facility include nanoscale single molecule biophysics, Biofuel production and environmental pollutants, Biometarials and Medical Devices, Nanoscale Biosensors, Drug therapy an much more. The college of engineering is highly selective, more so than the university as a whole. The freshman class entering the College of Engineering in fall 2013 has an average high school GPA of 3.79 and an average ACT of 27.2. In 2009, total research expenditures were $312 million, of which $217 million came from federal research funds. The figures represent a 3% increase over 2008, and a 38% increase over the past five years. Historically, CSU faculty were at the forefront of radiation treatment for cancer, environmental and animal ethics, and weather forecasting. A 1961 feasibility study at CSU was crucial for the establishment of the Peace Corps. CSU faculty members are noted for their research on great global challenges including the reemergence of tuberculosis, the brown cloud of air pollution in Asian cities, severe weather forecasting, nutrition and wellness, and bio-terrorism. CSU researchers in the Department of Atmospheric Sciences process and manage incoming data from a new satellite called CloudSat, which enables scientists to see cloud properties and vertical structure. Since its launch, CloudSat has made 5,307 orbits around the Earth. Abound Solar (formerly known as AVA Solar), a start-up formed by a CSU engineering professor, is commercializing a method for manufacturing low-cost, high-efficiency solar panels. Another research project has taken CSU faculty to Mexico to study dengue fever. Research in the Engines and Energy Conversion Laboratory has created a technological solution to limit pollutants from single-stroke engines, and is now in widespread use in the Philippines. The Center for Disaster and Risk Analysis is dedicated to reducing the harm and losses caused by natural, technological, and human-caused disasters. Projects have looked at Muslim-Americans after September 11, Hurricane Katrina, the 2010 BP Oil Spill, and childcare disaster planning. Outlying campuses cater to a range of research activities including crops research, animal reproduction, public health and watershed management. The Colorado Agricultural Experiment Station (CAES) was established in 1888 in accordance with provisions of the Hatch Act of 1887, calling for experiment stations at land-grant universities. State and federal funds support CAES research programs. In 2007, research activities included pest management, food safety and nutrition, environmental quality, plant and animal production systems, and community and rural development. The NSF Engineering Research Center for Extreme Ultra Violet Science and Technology, funded by the National Science Foundation, partners industry with Colorado State University, CU-Boulder, and the University of California-Berkeley. The center has three research thrusts in Engineered EUV Sources, Imaging, Patterning, and Metrology, and Novel Linear and Non-Linear Spectroscopies The Colorado Center for Biorefining and Biofuels (C2B2) is the first research center created under the umbrella of the new Colorado Renewable Energy Collaboratory, involving CSU, CU, Colorado School of Mines, and the National Renewable Energy Laboratory. The center develops biofuels and bio-refining technologies. Colorado State's new research Supercluster model brings together researchers across disciplines to work on topics of global concern in which CSU has a demonstrated expertise. Research results are connected to the marketplace through transfer, patenting and licensing activities carried out by experts with a focus on each research area. CSU has established Superclusters in Infectious Disease and Cancer Research and Treatment. A third, in clean energy, is being developed. CSU has a well established research program in infectious disease. The new Regional Biocontainment Laboratory, funded by the National Institutes of Health, is home to scientists developing vaccines and drugs for some world's most devastating diseases. The Biocontainment Laboratory also houses one of 10 US Regional Centers of Excellence for Biodefense and Emerging Infectious Diseases, funded by a $40 million grant from the National Institute of Allergy and Infectious Diseases. Much of the Cancer Supercluster, which involves the collaboration of five colleges, is based around the work of the university's Animal Cancer Center, the largest center of its kind in the world. The Global Ambassadors Program is an international speakers' bureau through which CSU international students and scholars share their culture, heritage, language, geography and history of their countries with local school classrooms and with other community groups. At the same time, they have the opportunity to learn more about American culture and practice their English and presentation skills. Recently, the Global Ambassadors Program became a student organization, but they are still affiliated with the Fort Collins International Center (FCIC). The program offers an opportunity for students to develop an appreciation for different cultures and promotes greater understanding. They can learn a lot by asking questions directly to international students from various countries. Some local schools may request specific topics for volunteers to present about their country, especially if the students are learning it in class. If not, a simple PowerPoint with basic background information including geography, language, food, music, dance, sports, holidays, weather, and celebrations is sufficient. The content and depth of presentations depends on whether volunteers will be presenting to elementary, middle school or high school students or adults. Usually presentations will also include an activity for children to get involved such as learning a dance, song, game or several words and phrases in the language. Students, faculty, and staff may choose to live in the university apartments. Colorado State University Apartment Life oversees University Village, International House, Lory Apartments, and Aggie Village. Known as a “global community” Apartment Life's mission to diversity shows in the fact that approximately 60 percent of residents and staff are from 80 different nations. Residents and CSU and Fort Collins community members enjoy a diverse amount of enrichment programs offered through the Apartment Life staff. Bailey J. Santistevan, Sr., legendary coach featured in the July 5, 1999 edition of Sports Illustrated. ↑ As of June 30, 2014 "U.S. and Canadian Institutions Listed by Fiscal Year (FY) 2014 Endowment Market Value and Change* in Endowment Market Value from FY2013 to FY2014 (Revised February 2015)" (PDF). National Association of College and University Business Officers and Commonfund Study of Endowments. Retrieved October 17, 2015. ↑ "Department of Education College Navigator". Retrieved January 8, 2009. ↑ "CSU enrollment is a record 32,236". Retrieved 2015-09-27. 1 2 3 4 5 6 7 "Colorado State University Fact Book 2010–2011". Retrieved August 4, 2011. ↑ "National Science Foundation Higher Education Research and Development Survey, Table 21. Higher education R&D expenditures, ranked by all R&D expenditures, by R&D field: FY 2012". ↑ "National Science Foundation Higher Education Research and Development Survey, Table 33. Higher education R&D expenditures at all institutions, ranked by all non-medical school R&D expenditures: FY 2012". ↑ Jim Hansen, "Democracy's College in the Centennial State," Colorado State University, Fort Collins, Co, 1977, 25. ↑ Thomas, Grace Powers (1898). Where to educate, 1898-1899. A guide to the best private schools, higher institutions of learning, etc., in the United States. Boston: Brown and Company. p. 23. Retrieved August 17, 2012. ↑ Hansen, James E. Democracy's College in the Centennial State: A History of Colorado State University. Colorado State University: Fort Collins 1977, pg. 51. ↑ Patricia Rettig. "Guide to the Papers of Louis G. Carpenter". Retrieved 22 July 2015. 1 2 3 James H. Lamb Company (1900). Lamb's Biographical Dictionary of the United States (Vol. 1). Ed. John Howard Brown. Boston, Massachusetts: The Cyclopedia Publishing Company. pp. 575. Retrieved from Google Books on June 24, 2015. Digitized on February 2, 2008. 1 2 3 4 "Carpenter, Louis George, Educator". The Twentieth Century Biographical Dictionary of Notable Americans ... Volume 2 of The Twentieth Century Biographical Dictionary of Notable Americans by Rossiter Johnson, John Howard Brown - published by the Biographical Society. 1904. Retrieved 24 June 2015. ↑ "Carpenter, Louis George, Mathematician". Herringshaw's Encyclopedia of American Biography of the Nineteenth Century: Accurate and Succinct Biographies of Famous Men and Women in All Walks of Life who are Or Have Been the Acknowledged Leaders of Life and Thought of the United States Since Its Formation ... by Thomas William Herringshaw - published by the American Publishers' Association. 1904. Retrieved 24 June 2015. 1 2 3 De Puy, William Harrison (1908). "Carpenter, Louis George, Engineer". The World-wide Encyclopedia and Gazetteer: Compiled and Revised to Date from the Leading Encyclopedias of the World. A Dictionary of Arts, Sciences and Literature, to which is Added Biographies of Living Subjects, One Hundred Colored Maps and Numerous Illustrations, William Harrison De Puy - Volume 9 - Page 720 - published by The Christian Herald. Retrieved 24 June 2015. 1 2 "Carpenter, Louis George, Engineer". New American Supplement to the New Werner Twentieth Century Edition of the Encyclopedia Britannica ... Illustrated with Hundreds of Portraits and Other Engravings, Volume 2 New American Supplement to the New Werner Twentieth Century Edition of the Encyclopedia Britannica ... Illustrated with Hundreds of Portraits and Other Engravings - published by the Werner Company. 1905. Retrieved 24 June 2015. 1 2 3 4 "Papers of Louis G. Carpenter, 1892-1910 - Carpenter, L. G. (Louis George), 1861-1935". Colorado State University. 1935. Retrieved 24 June 2015. 1 2 "Guide to the Papers of Louis G. Carpenter - Prepared by Holley R. Lange; updated by Patricia J. Rettig". Colorado State University Water Resources Archive - A joint effort of the University Libraries and the Colorado Water Institute. 2013. Retrieved 24 June 2015. ↑ Hansen, Democracy's College. 211. ↑ Hughes, Trevor. "CSU Trying to Conserve Amid Building Boom." Fort Collins Coloradoan. ↑ Comment Quarterly. Colorado State University. Fall 2007. Issue 2, Volume 1. pg 11. ↑ Comment Querterly, pg 12. ↑ "Colorado State University Campus Character". Retrieved August 3, 2011. 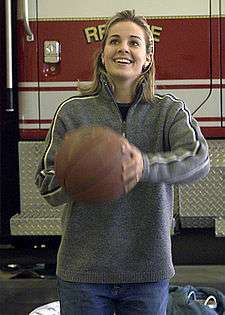 ↑ Lori Oling (21 May 2012). "Study Cube". Retrieved 22 July 2015. ↑ "Facilities Management Full Projects Listing". Retrieved August 4, 2011. ↑ "University Center for the Arts Grand Opening". Retrieved August 4, 2011. ↑ "Getting Around Fort Collins". Colorado State University. Retrieved May 6, 2016. ↑ "Campus Tour Veterinary Teaching Hospital". Retrieved August 29, 2011. ↑ According to sources this Veterinary program is one of the most respected in the country.Campus Tour, Veterinary Teaching Hospital Colorado State University Website. Accessed February 14, 2008. ↑ "CSU Campus Maps". Retrieved September 15, 2011. ↑ "Colorado State University System". CSUS. Retrieved 2014-07-23. ↑ "CSU President Website". Retrieved January 5, 2009. ↑ "Board of Governors of the Colorado State University System". Csusystem.edu. Retrieved 2011-10-26. ↑ "Board Names Joe Blake Finalist for Chancellor Post". Csusystem.edu. 2009-05-05. Retrieved 2011-10-26. ↑ "Common Data Set - Institutional Research, Planning and Effectiveness - Colorado State University". Retrieved 22 July 2015. ↑ Sherry, Allison. "3 Universities Forming School of Public Health." Denver Post, 8/17/2007. ↑ "Accreditation". Colorado State University College of Business. Colorado State University. Retrieved 11 December 2014. 1 2 3 4 5 6 7 8 9 "History – the College of Business through time". Colorado State University College of Business. Colorado State University. Retrieved 11 December 2014. ↑ "About CSU - College of Engineering - Colorado State University". Retrieved 22 July 2015. ↑ Warner College of Natural Resources, College History Page Accessed February 15, 2008. ↑ "New MSU President." Helena Independent Record. May 26, 1977. ↑ “Colorado State Selects Disney’s Dr. Mark Stetter as New Veterinary College Dean – DVM.” DVM. 4 Jan. 2012. Web. 01 Apr. 2012. 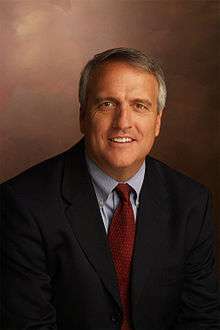 <http://veterinarynews.dvm360.com/dvm/Veterinary news/Colorado-State-selects-Disneys-Dr-Mark-Stetter-as-/ArticleStandard/Article/detail/754785?contextCategoryId=44924>. ↑ "Public Lands History Center home page". Public Lands History Center. Retrieved 1 August 2014. ↑ "Mark Fiege". CSU College of Liberal Arts Faculty and Staff Pages. Retrieved 1 August 2014. ↑ "Colorado State University All Rankings". Retrieved August 19, 2015. ↑ "CSU Business School Ranked 9th," Denver Business Journal. October 11, 2007. ↑ Dimas, Jennifer (9 September 2014). "CSU climbs U.S. News and World Report". Colorado State University Source. Colorado State University. Retrieved 11 December 2014. ↑ Bustos, Kelsey (17 October 2014). "College of Business ranked among the nation's best". Colorado State University Source. Colorado State University. Retrieved 11 December 2014. ↑ "Rankings & Profiles, Undergraduate Business School". Bloomberg Business Week. Bloomberg L.P. Retrieved 11 December 2014. ↑ Colorado State University Fact Book. Pg 8. ↑ Unlimited Options: Viewbook 2007–2008. CSU Office of Admissions, July 2007. ↑ "Local Faculty Productive." Fort Collins Coloradoan. 11/26/07. ↑ Adam Warren. "Today @ Colorado State". Retrieved 22 July 2015. ↑ CloudSat, World's Most Sensitive Cloud-Profiling Radar in Orbit, Celebrates One Year Above Earth. Colorado State University Press Release. Accessed February 18, 2008. ↑ Raabe, Steve. "Solar Plant Seen for State." Denver Post, 9/5/2007. ↑ "Child Care Disaster Planning Under Study By CSU". Retrieved 22 July 2015. 1 2 3 Colorado State University (August 15, 2006). "NSF Engineering Research Centerfor Extreme Ultraviolet (EUV) Science and Technology". Colorado State University. Retrieved October 1, 2007. ↑ Comment Quarterly. Colorado State University. Fall 2007. Issue 2, Volume 1. pg 2. ↑ Colorado State University Hosts Open Houses at New Regional Biocontainment Laboratory. CSU Press Release 12/4/07. Accessed February 17, 2008. ↑ "Colorado State University Ranks Near the Top in the Nation for Most Peace Corps Volunteers - News & Information - Colorado State University". Newsinfo.colostate.edu. 2002-03-12. Retrieved 2011-10-26. ↑ "Jim McElwain introduced as Colorado State football coach". The Rocky Mountain Collegian. December 13, 2011. ↑ "CSU Board approves on-campus stadium". Colorado State University. Colorado State University. Retrieved 6 December 2014. ↑ Money Magazine Best Places to Live 2006. Accessed March 3, 2008. 1 2 3 4 5 Colorado State University – Fort Collins Archived April 17, 2008, at the Wayback Machine. ↑ History of the Collegian. CSU Student Media Page. Accessed March 3, 2008. ↑ Gannett. NY Times. Accessed October 31, 2008. ↑ About KCSU KCSU Online. Accessed March 3, 2008. ↑ Letter from the Editor, Fall 2005 Issue. Accessed March 1, 2008. ↑ Chapters and Councils, CSU Greek System. Accessed March 2, 2008. ↑ "Silver Spruce Yearbook". 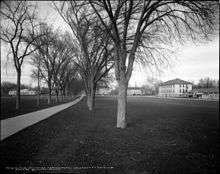 Fort Collins: Colorado Agricultural College. 1918: 157. Retrieved October 13, 2009. ↑ CSU prepares for full capacity of residence halls with renovations and Aggie Village Rocky Mountain Collegian. Accessed November 6, 2016. ↑ Colorado State University Will Open New Academic Village This Fall For Engineering, Honors Students CSU News and Info Online. Accessed March 3, 2008. ↑ Laurel Village - Housing and Dining CSU Housing and Dining Website. Accessed November 6, 2016. ↑ "Housing & Dining Services - Colorado State University". Housing.colostate.edu. 2011-10-18. Retrieved 2011-10-26. ↑ "Apartment Life Central Programs at Colorado State University". Housing.colostate.edu. 2011-05-15. Retrieved 2011-10-26. ↑ Sherry, Allison. "More Minorities in State Colleges, But Totals Low." The Denver Post. 10/12/07. ↑ "Wayne Allard". Biographical Directory of the United States Congress. Retrieved 15 October 2012. ↑ "David Anderson". databaseFootball.com. Retrieved December 21, 2012. ↑ "Alfred W. "Red" Bethea (information taken from gravestone)". findagrave.com. Retrieved May 2, 2014. ↑ "Jack Christiansen". databaseFootball.com. Retrieved December 21, 2012. ↑ "Jimmy David". databaseFootball.com. Retrieved December 21, 2012. ↑ "Les Eaves". arkansashouse.org. Retrieved April 3, 2015. ↑ "John Ensign". Biographical Directory of the United States Congress. Retrieved 15 October 2012. ↑ "Cory Gardner". Biographical Directory of the United States Congress. Retrieved 15 October 2012. ↑ "Clark Haggans". databaseFootball.com. Retrieved December 21, 2012. ↑ "John Howell". databaseFootball.com. Retrieved October 22, 2012. ↑ "Brady Keys". databaseFootball.com. Retrieved 18 March 2016. ↑ "Mark Knudson Stats". Baseball Almanac. Retrieved December 21, 2012. ↑ "Biographical Sketch". Retrieved July 13, 2015. ↑ "Hughes Stadium memories: A letter by Kevin McDougal". Coloradoan. Retrieved 10 September 2016. ↑ "Kevin Mclain". databaseFootball.com. Retrieved December 21, 2012. ↑ "Sean Moran". databaseFootball.com. Retrieved December 21, 2012. ↑ "Marilyn Musgrave". Biographical Directory of the United States Congress. Retrieved 15 October 2012. ↑ "68 Clint Oldenburg, T". CBSSports.com. Retrieved November 18, 2012. ↑ Petrovich, Erik (9 November 2015). "A return to roots: New Belgium CEO talks Fort Collins, female leadership, future". The Rocky Mountain Collegian. Retrieved 18 March 2016. ↑ "Roy R. Romer". National Governors Association. Retrieved 15 October 2012. ↑ "Montana Governor Brian Schweitzer". National Governors Association. Retrieved October 14, 2012. 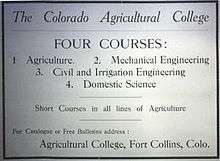 "Colorado State Agricultural College". Collier's New Encyclopedia. 1921.